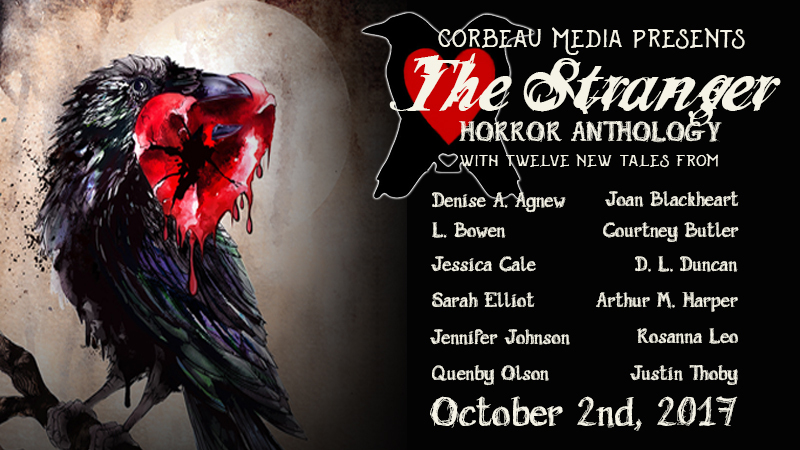 It’s my honor to be one of the contributing authors of The Stranger horror anthology. 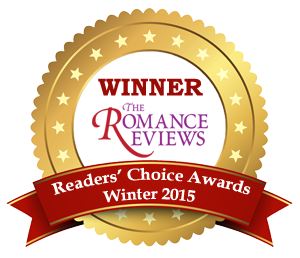 Corbeau Media is doing interviews with each author and today I am on the hot seat. How do you like to celebrate Halloween? I think there is something in each of us that craves the darkness. Life is full of mystery, as is death, and it’s normal to be curious. I believe that’s why Halloween is such a popular holiday. It allows us to indulge our curiosity. I certainly share that curiosity. It’s why, when I have dressed up for Halloween, I’ve tended to dress up as darker characters. Dead maidens and such. The costume I remember with the most fondness is my Titanic victim costume. 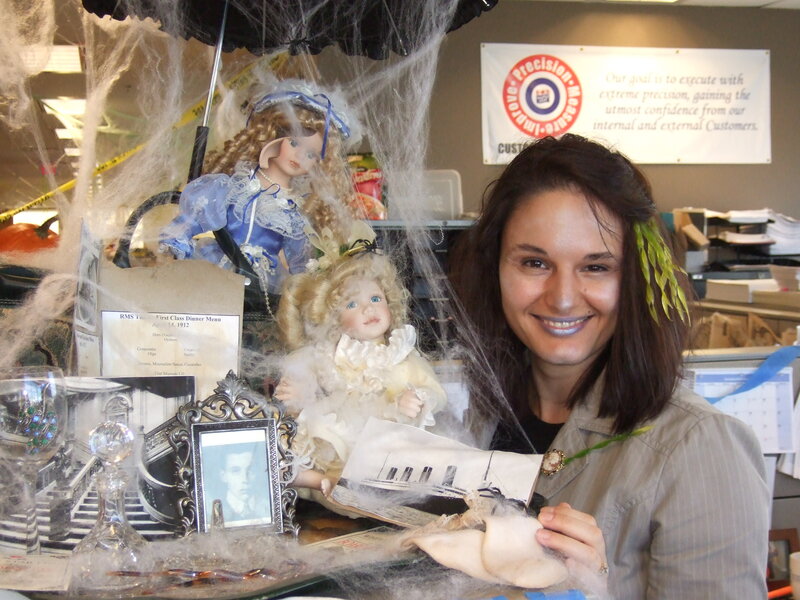 One of my previous workplaces was holding a cubicle-decorating contest and I was determined to do well. I researched the Titanic disaster, even printing up actual menus from the last meal and photos of those who journeyed on the doomed ship. I dressed in old clothes, made my skin and lips blue-grey and wore seaweed in my hair. 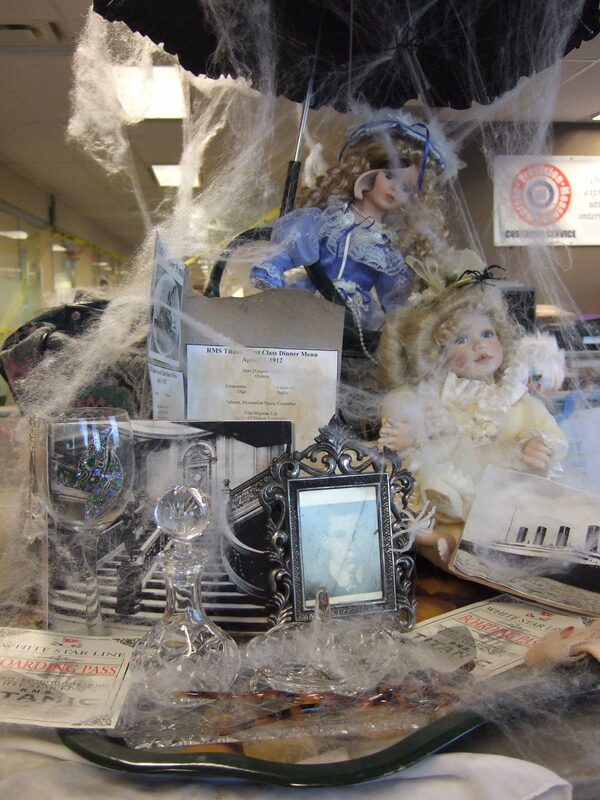 My cubicle included items that might be found on the Titanic, broken dolls, gilt frames that had tarnished, and all sorts of general creepiness. It was a lot of fun and the best part was my co-workers never quite looked at me the same way again. I think several of them thought I might be a bit odd. True enough. I do wonder about the darkness. It’s the reason I wrote The Cemetery Guardian, my contribution to The Stranger horror anthology. We’ve all experienced the pain of grief and I have no doubt most of us have pondered our own mortality. The Cemetery Guardian is an exploration of that void, of the darkness that beckons. Sometimes, the allure is intense. This Halloween, surrender to the darkness. Have you embraced The Stranger? 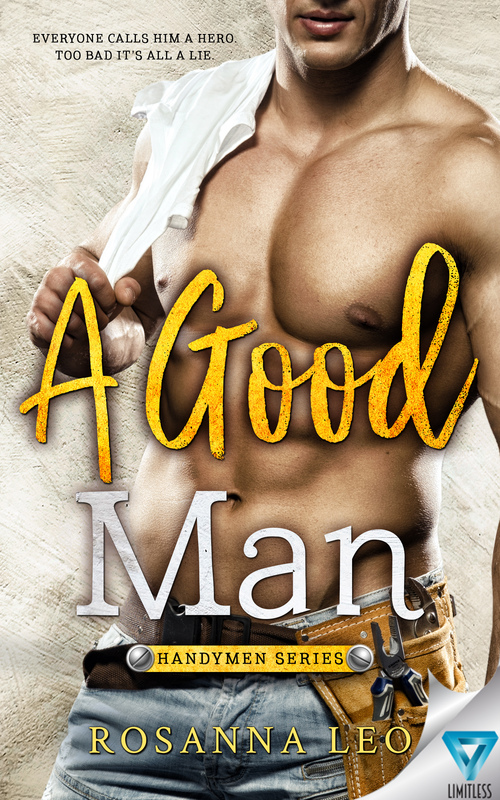 A Good Man cover reveal! 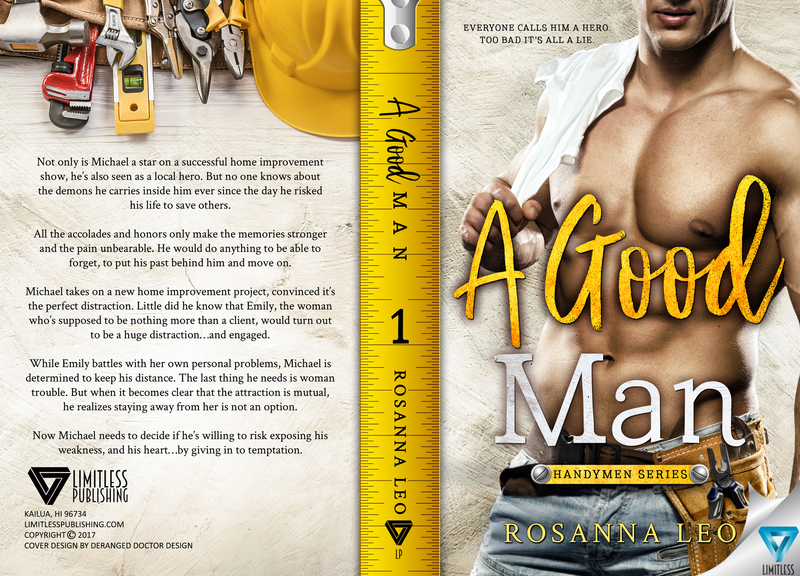 I’ve been sitting at the edge of my seat for a while now and it’s all because I knew my cover art for A Good Man, Handymen 1, would be arriving soon. It has arrived and I couldn’t be more delighted. Okay, turned on too, but let’s not get into those specifics. 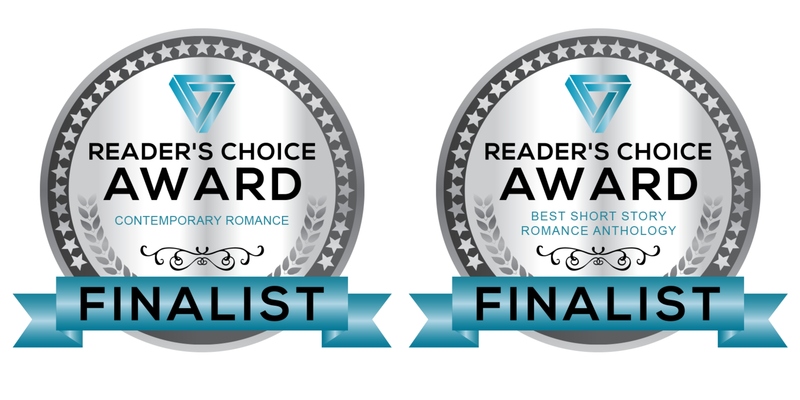 I am so excited to bring this book to my readers. A Good Man will be released in print and ebook Nov. 21, with an ebook preorder starting ten days prior. Stay tuned for more info! Thank you to everyone at Limitless Publishing and Deranged Doctor for this awesome cover and all the support. If you could meet any figure from history, who would it be? 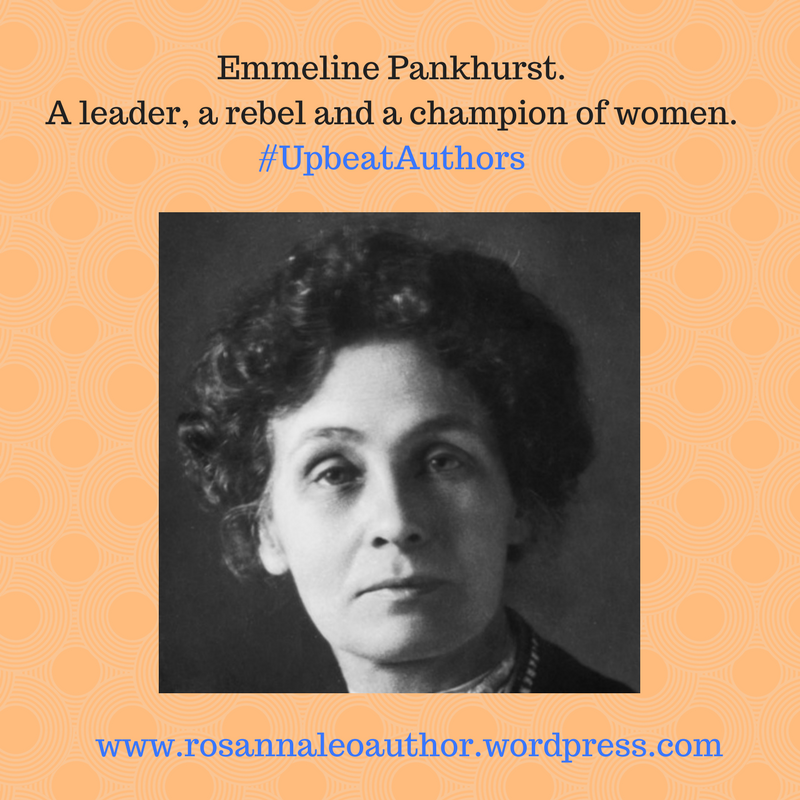 #UpbeatAuthors. Today at #UpbeatAuthors, we are discussing figures from history, especially those we would love to meet. I’ve often had this fantasy. Being a history, buff, I would have a hard time narrowing it down to just one, and my choice would likely depend on the day. However, if I had to pick just one, it would have to be Emmeline Pankhurst, the leader of the suffragette movement in England. This woman was a militant activist, a rebel and a leader. She even went on hunger strike to call attention to the issue of women’s suffrage. Her followers were entirely devoted to the cause and many sacrificed a great deal to bring votes to women. I think I would like to sit down to tea with Mrs. Pankhurst. I’d like to think I would be changed by the encounter and I would hope she’d be pleased with her legacy. If you could meet anyone from history, who would it be and why? Release day for The Stranger and a tour of the Toronto Necropolis. As fall settles in with its cooler temperatures and darker skies, a stranger comes to town. Do you dare make his acquaintance? It’s release day for The Stranger, a horror anthology featuring my novella The Cemetery Guardian and so many wonderful scary stories from some of my favorite authors. 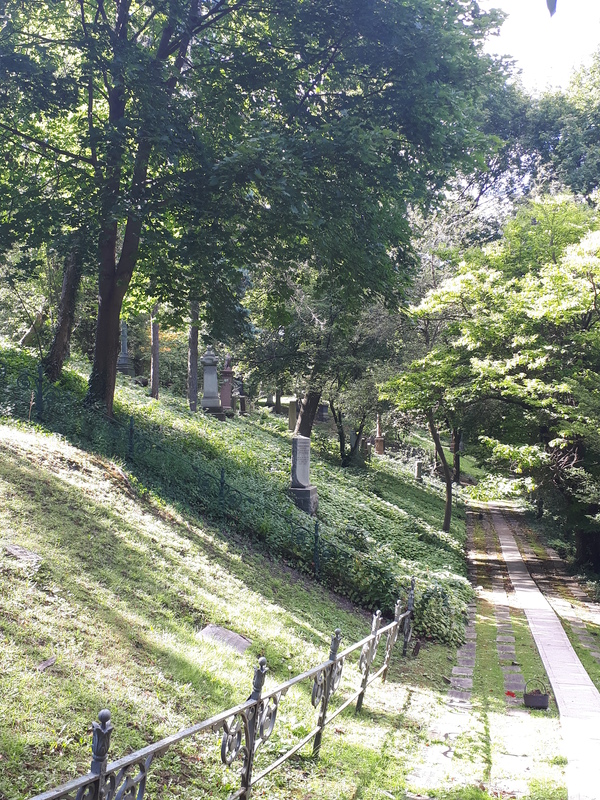 Because my story is set at the Toronto Necropolis, one of our oldest graveyards, I thought it would be fun to take you on a tour of the place. Go on. Grab my hand. I promise not to lead you into any dark corners. 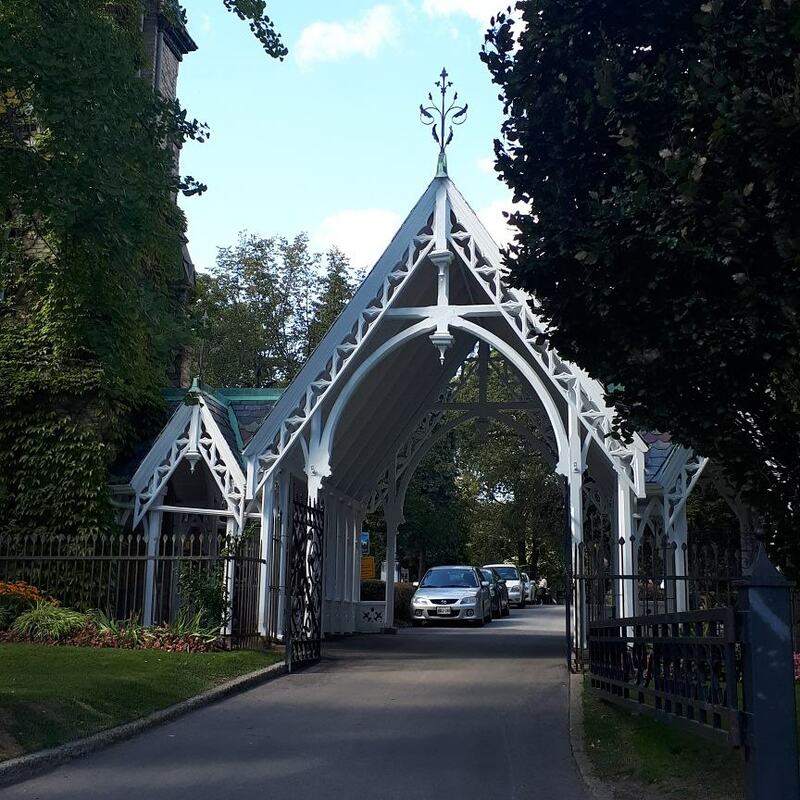 Upon entering the Necropolis, you will stroll through this entrance, a stunning example of High Victorian Gothic architecture. My heroine Marianne Phelps has made this journey many times, completely unaware of the presence that watches and waits. 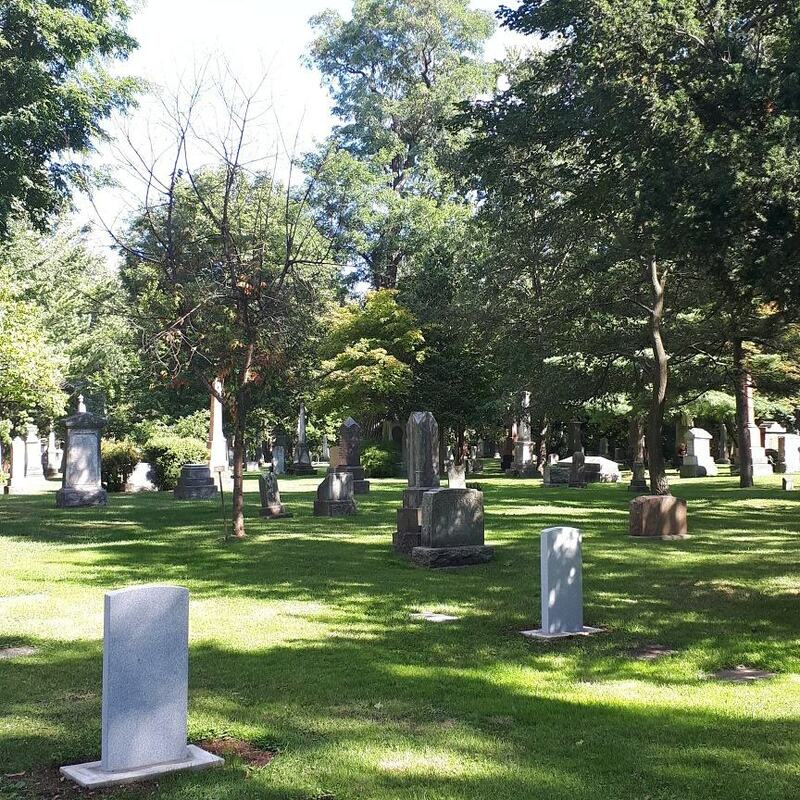 Although Marianne is here to visit her deceased mother, the real drama happens in a part of the cemetery called the Resting Place of Pioneers. 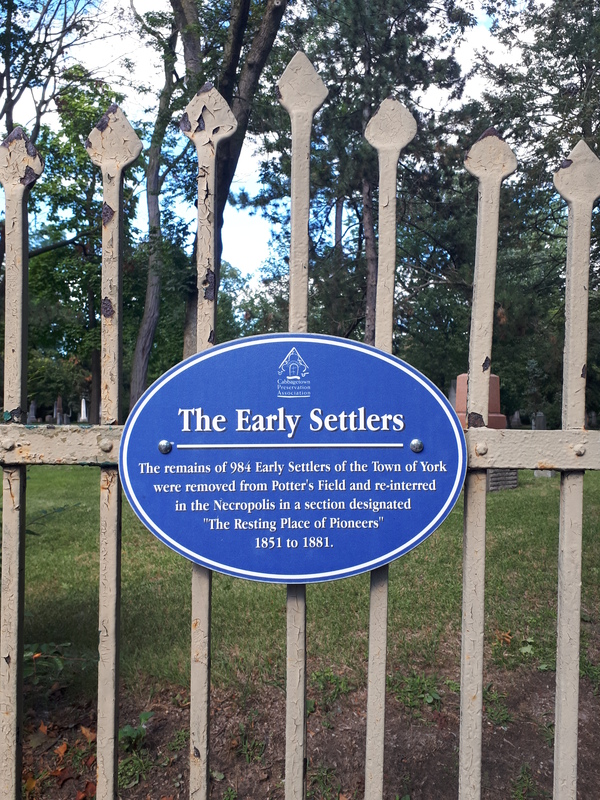 In this area, one will find a memorial to Toronto’s early settlers, people who were originally interred in Potter’s Field in the early 1800’s. They were moved and buried at the Necropolis later. One can still find many old stones such as the one below, bearing inscriptions faded by time. One, in particular, will catch Marianne’s attention. When she discovers her mother’s grave has been descrated, Marianne seeks help from cemetery staff. She meets a mysterious young man named Edward Adams. Edward’s fierce loyalty to the Necropolis and its residents comforts Marianne in her time of need. She never expected to find such a kind savior among the old stones and her feelings of grief transform into an unsettling attraction. 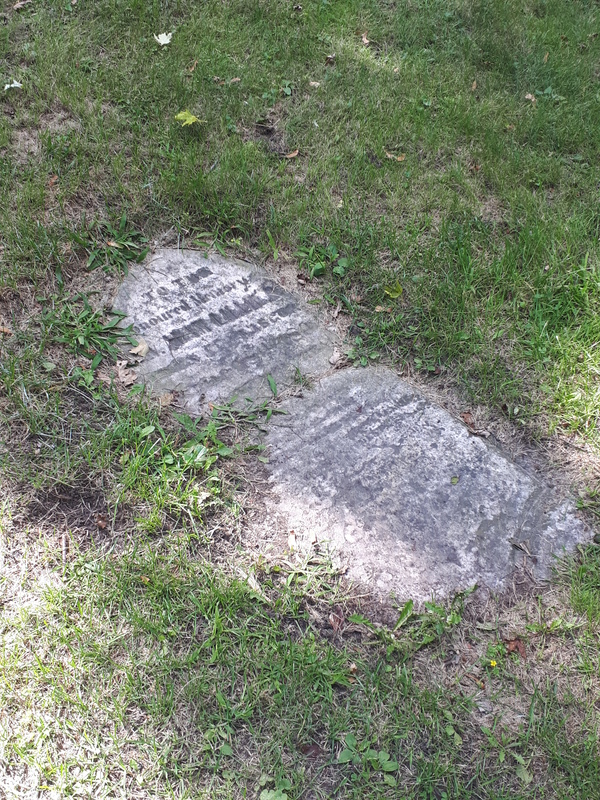 I hope you have the opportunity to visit the Toronto Necropolis one day. Until then, The Stranger is waiting for you. Never fear. He is patient.